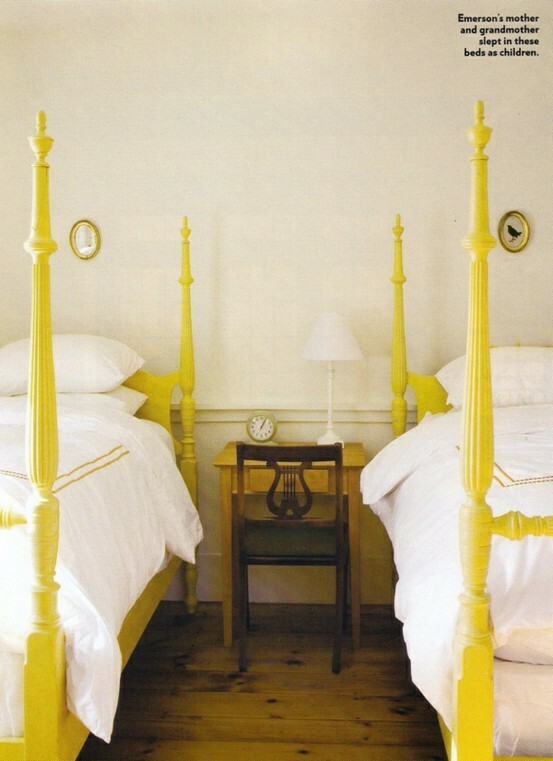 I have professed my love for the twin bedroom - a bedroom that contains two twin beds in an often symmetrical fashion. And maybe if the room is large enough, two full beds! Either way, I love this look. In fact, I am setting up the nursery to transition into a twin bedroom once baby is ready for big girl quarters. 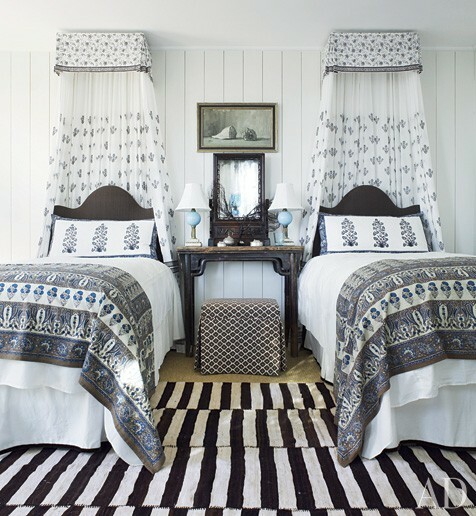 I was delighted to see that one of our favorite bloggers, Erin of House of Turquoise, has a whole Pinterest board devoted just to these rooms. I am right there with you in loving matching twin beds. I have two in my youngest's room but unfortunately they cannot sit side by side.I can't wait to see the nursery. Ooh I adore twin bedrooms! (Obviously!) Thank you so much for the shout-out and links! !